I seem to have misplaced my kitchen photo... here it is before the floor was finished and the curtains went up. 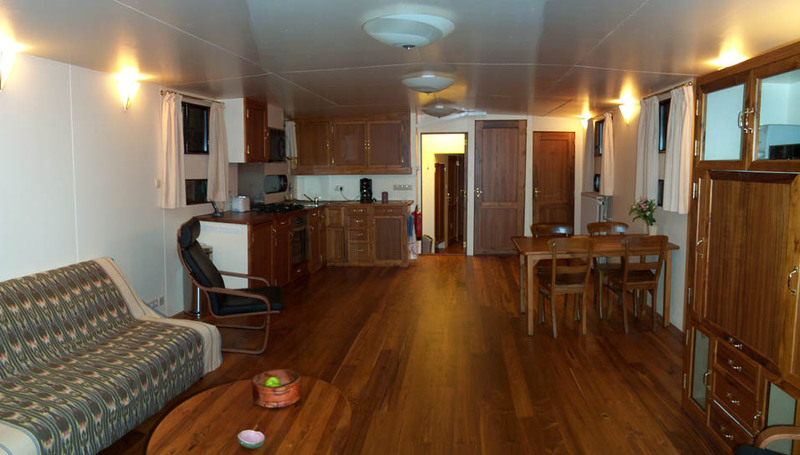 5 burner gas stove, convection oven, microwave oven, hidden fridge, teak block counter top. 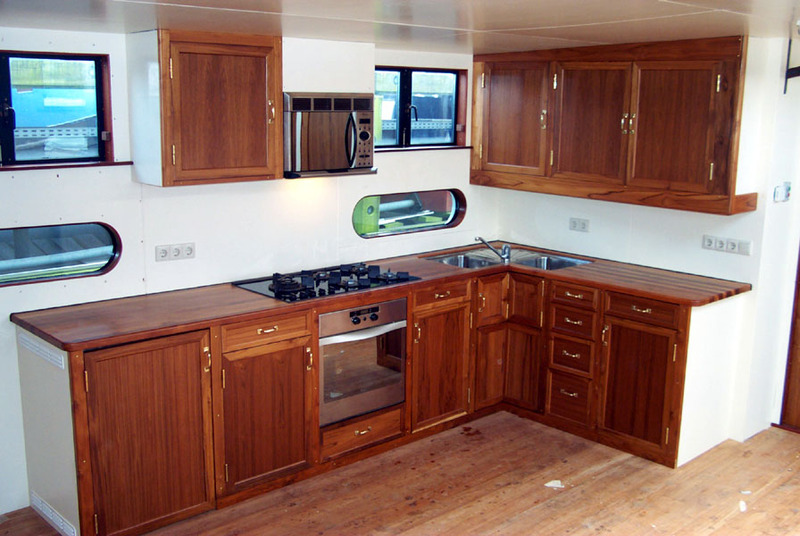 The cupboards are all custom made from teak with brass fittings. There's a carousel under the corner sink. 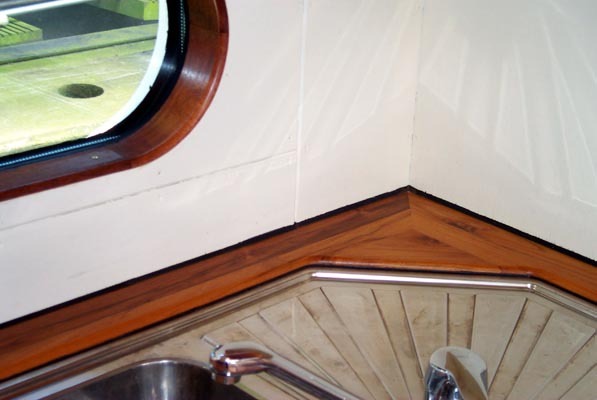 The woodwork is finely detailed. Note the curved trim and mitered countertop.